Why is it Important to get a Volvo Diagnostic Scanner? What is an Volvo Code Scanner? Why Should I Purchase One? Vince here with another awesome guide to help you find the best Volvo OBD2 Scanners for your loved Volvo! Volvo is a Swedish car company that is known for their pathological approach to safety. The Volvo Car Corporation was established in 1927, was sold to the Ford Motor Company in 1999, and was eventually acquired by the Geely Holding Group of China in 2010. We have to admit that we don’t know very much about Volvo cars. Not that we don’t love the look of a 1975 Volvo Turbo 242! But mainly because Volvo’s are not very common cars. Most younger people seem to prefer to drive Corollas and Civics. Volvo makes a fantastic, safe, and reliable car, but this also comes at a higher price tag. When Andy and I discussed the ideas for our article on the 5 best OBD2 scanners for Volvo, we wanted to test newer Volvo cars, and not the boxy yet glorious Volvo station wagons of the 1990’s. Luckily for us, our good friend Eddie came to the rescue. His mom drives a 2006 Volvo S60, while his girlfriend just bought a 2008 Volvo V70. Eddie was complaining about a pesky check engine light on the S60, so we proceeded with our test. The scanners below were tested on our Volvo S60 and V70 (XC) and worked very well. However, we cannot test every single Volvo ever made, so please treat this as a starting guide. If you have any questions, please comment below or consult the OBD2 manufacture, especially if your Volva is made before 2000. 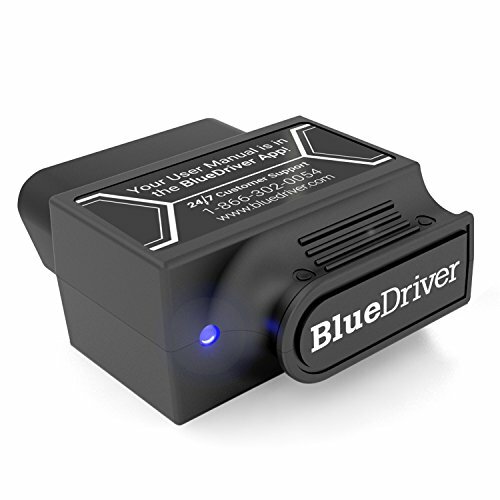 If you’re looking for the best Bluetooth OBD2 scanner for Volvo, then look no further than the Bluedriver! 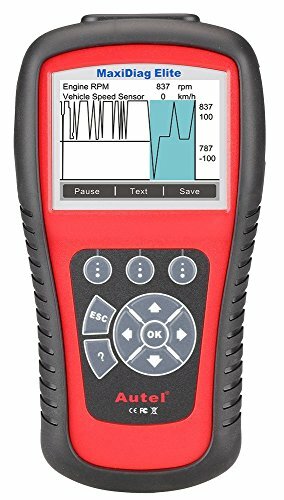 We’ve only recently stumbled across this wireless diagnostic scanner and let me tell you, it’s a beast! We love the Bluedriver at ScannerAnswers and always recommend it to friends and family searching for a diagnostic tool! Previously we’ve used cheaper ELM327 chips like the 10$ ones you buy on Ebay and they were never reliable enough. They’d always drop the WiFi connection and not pull all the codes we needed. This is NOT a corded scanner, so you’ll need to connect it to an Android or iPhone/iOS device. That’s right, it supports Android AND iPhones over Bluetooth! It’s one of the only scanners with this capability. The Bluedriver also supports Generic and Enhanced Manufacture codes, plus Mode 6 and live data. This is a huge plus if you have to investigate deeper into engine sensor data to see why the DTC is showing up and popping that CEL. Bluetooth diagnostic scanner that supports both iOS and Android. Supports most vehicles made after 1996 including Volvos. Reads and clears engine, ABS, SRS code. Support for Live Data, Mode 6 and much more! You also don’t need to install any extra Volvo obd2 software – just download the included software with the Bluedriver! You’ll be covered with a 1 year warranty and 24/7 technical support also. Got any questions? Give them a call at 866-302-0054. The downsides? It’s one of the most expensive scanners on the list. It’s worth it to us for the Bluetooth, Android + iPhone support, and reliability though. iCarsoft i906 can do it all-reads and clears trouble codes for Volvo/Saab on full systems such as engine, transmission, ABS and airbag etc. When we got our hands on the iCarsoft i906 OBD2 Scanner, Andy was surprised that the device was less than $$$. Why? It felt pretty good to the touch, and the entire thing feels like it was screwed together by a professional engineer. It also helps that the iCarsoft i906 had an impressive TFT full-color screen. The package was pretty impressive, but it’s time to put it to the test. We fired up the S60 and plugged in the iCarsoft i906 to the OBD2 diagnostics port. The device was able to diagnose the ABS and SRS error code of the Volvo, but Eddie was perplexed. The car didn’t have a problem with the airbags or braking system, but he did remember upgrading the stereo a couple of weeks ago. We went online and found out that Volvos are notorious for this kind of error code, especially if you tinker with any part of the vehicle’s electrical system. It’s a good thing we had the iCarsoft i906 OBD2 scanner to play with. It was able to read, diagnose and clear the SRS and ABS diagnostic trouble codes, and we were able to view live data in real-time. This is not the cheapest Volvo OBD2 scanner here, but it certainly worked the first time around. 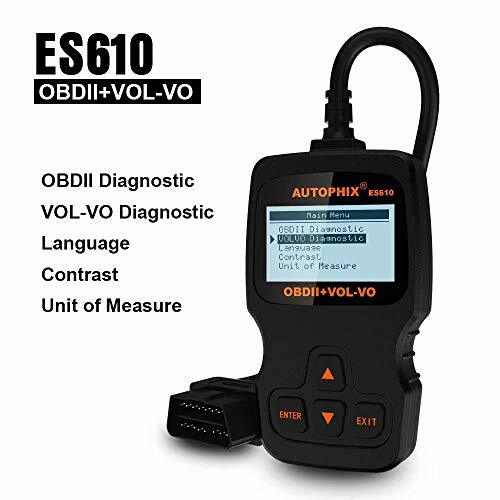 German or European vehicles are not exactly the cheapest to service or maintain, so it only makes sense to invest on a quality OBD2 scanner for your Euro car. The Ancel AD310 is middle priced and scans and clears DTCs. It comes with a 3 year warranty, and is a popular scanner. However, one of it’s downfalls is that it doesn’t read/clear ABS and SRS codes. So if you need that functionality, you’ll check out one of our other OBD2 scanners for Volvo. This device is known as the fastest full color Volvo OBD2 scanner and other European brand cars. We didn’t exactly use a stop watch to verify the speed of this device, but it quickly diagnosed the O2 sensor error code of our S60 test car. 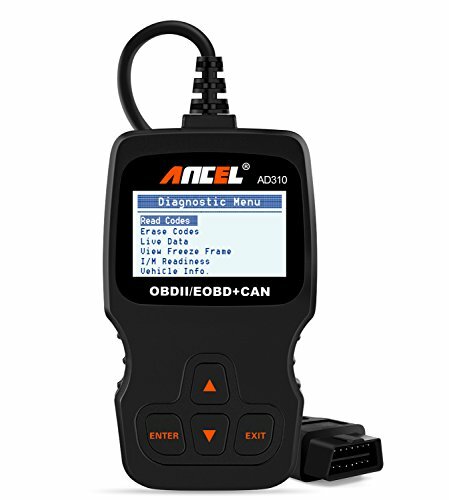 The Ancel AD310 Scan Tool can retrieve generic and manufacturer-specific trouble codes, and it also comes with a built-in list of code definitions. It is priced at a little over $30, but the build quality and speed of this scanner makes it money well spent. HIGH QUALITY AND INEXPENSIVE: You can use this device to do oil service reset, this will help you save a little money and time. And we offer one year warranty. I’m gonna be honest with you, I’m not sure what the difference is between the Autophix ES610 and Ancel AD310. They look identical and have similar features. The Ancel is quite a bit cheaper. With that said, the Autophix ES610 Professional Volvo Scan Tool is one of our favorite corded Volvo OBD2 scanners. It’s not the cheapest OBD2 scanner by a long margin. But this device provides quick access to all Volvo control systems including the engine, transmission, ABS, SRS, HVAC, etc. The Autophix ES610 can also display detail definitions of all Volvo trouble codes. It can also retrieve vehicle information such as the VIN, CIN and CVN. We tested this on both our Volvo test cars and the results were conclusive. Our Volvo V70 had an ABS and SRS error code similar to the S60, and the Autophix ES6110 was able to point out the O2 sensor problem of our V70 as well. Full systems diagnosis: quickly reads/clears trouble codes on all available systems (including engine, transmission, ABS and SRS) for most of the European, Asian and Domestic vehicles after 1996. Wide vehicle coverage: performs deep vehicle system coverage for all available Electronic systems and access to the body, chassis, power train and on-board communication modules. Cream of the crop” OBD2/EOB2 tool – Awesome features to turn off warning lights, CEL, ABS, SRS, and Transmission codes – Last tool you’ll need for the job! We’ve saved the best fault code reader for Volvo for last! If you’ve tried other scanners and found them lacking, you’ve gotta get your hands on the Autel MD802. This tool will set you back a couple hundred bucks, but it’s the last OBDII scanner you’ll ever need to buy for your Volvo. The Autel MD802 OBD2 Code Scanner has global support coverage. Most OBD tools will only support domestic vehicles like Ford, Chevy, etc, and just display generic codes for the rest. Not the Md802! This tool is specifically designed to work on US, Asian, and European cars! Please keep in mind that you might need to purchase the 38 pin Mercedes adapter, 20pin BMW adapter, etc. From the factory, it only includes the OBD2 plug. While this is definitely not the cheapest scan tool available, it’s one of the best that you can buy for European cars. If you frequently work with EU cars like Volvo, BMW, Saab, Mercedes, etc, then this is a MUST-HAVE scanner. It had absolutely no issues reading and clearing the SRS codes on our V70 and S60. Plus, it supports all 10 OBDII test modes, and has advanced features like Enhanced Mode 6, Freeze Frame, and I/M Readiness. Bottom-line: If you’d had issues with other OBD2 scanners working with your Volvo, then you’ve got to get this tool. It is by far the most reliable and best OBD2 (EOBD2) scanner for Volvo and other European vehicles that we’ve tested. Get one today! Editor Note: We decided to replace this scanner with a Bluedriver Pro which is a more reliable wireless scanner for Volvos! If you’re on a tight budget and you want to diagnose the check engine light on your Volvo, we highly recommend the Kitbest OBD2 Diagnostic Scanner. This code reader clocks in at around $$ bucks, making it the cheapest OBD2 scanners for Volve. This scanner will also work on other European brands such as BMW, Audi, Volkswagen, Jaguar and Porsche. We wish we could try this scanner on a Porsche or Jag, but we will focus on our Volvo test cars for the meantime. While the mood was quite sour, we were sure glad that the Kitbest was able to retrieve all the error codes on our V70 test car. Eddie is going to bring his girlfriend’s V70 to the nearest garage for a thorough inspection on Monday. The Kitbest OBD2 Scanner works on all OBDII protocols including CAN-BUS, and comes with a 5-year warranty. The only thing we didn’t like about it was you can only connect it to your Android phone. No iPhone connectivity is available. The modern car is a very different animal. A hundred years ago with the invention of the first automobile, most people had no idea how it ran and what it ran on. Then as men and women became savvier about their purchases, they got better at fixing them. However, today it’s more about reading the information that the car gives you rather than extracting it by opening the hood of the car. And this has been made possible by the advancements made in automobile technology. 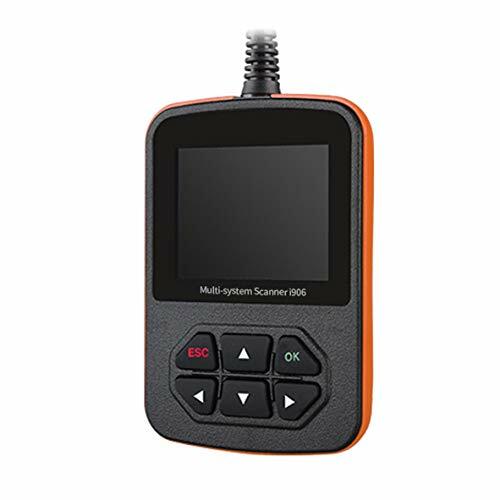 To take advantage of all the engine sensor information available at your fingertips, you should get an Onboard Diagnostic Scanner (OBD II Scanner). It will make things a lot easier for you, and help you diagnose various faults with your car, so that its performance stays the best it can for as long as it can. And could save you an expensive trip to the mechanic shop! Figure out why that pesky light is on with a Volvo diagnostic scanner! An OBD II scanner is a tool that plugs in to your car to read whatever information it gives you. It can help you determine the fuel economy of your car, your mileage, your speed, and the transmission temperatures, etc. It can even help you find out why your Check Engine Light is on. No matter what car you have, it’s important to have this scanner with you at all times to check what is wrong with it should the need arise. Purchasing a diagnostic scanner for your Volvo is a great investment. It’ll help you take better care of your car/suv by staying in tune with your ride. If you take care of the car, it’ll take care of you. However, there are many other perks to getting a diagnostic scanner. The first of them being, it helps you find out what your fuel economy is. If you find that it’s below your original performance, you can take it in to the dealership for a tune up. You can also use the diagnostic scanner coupled with a smartphone app to record your journey from one destination to the other and get various routes that are optimized, so that you save time and fuel. Other perks include customizable dashboards on your phone that’ll give you the most current information about your car by just pressing a few buttons on your smartphone. And I don’t know about you, but around my town, some mechanics here will charge an hour of labor (about $70 bucks!) just to run a Volvo system scan and clear any check engine lights! If you have a Volvo, and the Check Engine Light is on, the best way to turn it off is to attend to the issue itself. However, to find out what it is, you should connect an OBD II scanner to it. After you’ve tended to the issue, you can turn your car key in the ignition to its second position (accessory). Here the lights should go on, but the car shouldn’t start. Then you should Press ERASE on the scanner. This will wipe the error codes from the car’s database and turn the Check Engine Light Off. By using a simple diagnostic tool with your Volvo you can maximize your car’s performance and save you the hassle of taking it to the dealership. Not all OBD2 scanners are created equal. If you have a European or German car, choose from one of our 5 best Volvo OBD2 Scanners so you can save money on car repair costs. Vince here with another awesome guide to help you find the best Volvo OBD2 Scanners for your loved car! Volvo is a Swedish car company that is known for their pathological approach to safety. The scanners below were tested on our Volvo S60 and V70 (XC) and worked very well. However, we cannot test every single Volvo ever made, so please treat this as a starting guide. If you have any questions, please comment below or consult the OBD2 manufacture, especially if your Volva is made before 2000.